Many consumers are unsure of whether to use the Internet for researching or buying travel – and if so, when and how. The Internet can be a powerful tool for researching travel. But when you’re ready to buy, the Internet can’t replace the expertise of a trusted travel counselor. Ed Perkins, the consumer advocate for the American Society of Travel Agents and former editor of Consumer Reports Travel Letter, answers some of the more common questions about researching and buying travel on- and offline. Q: Can I use the Internet to plan a trip? A: Yes, at least partially. The Internet is great for facts and figures: Thousands of destinations – regions, countries, states and provinces, cities, and park systems – maintain websites. Those sites are great sources for information you need: main features, activities, climate and weather, local transportation, and much more. In fact, your problem is likely to be information overload rather than too little. But the Internet is seldom able to supply enough depth and detail to allow you to prepare a complete travel plan. You will still probably need good guidebooks and maps (which you can buy online). And you should always speak with a professional travel agent before making a travel purchase. 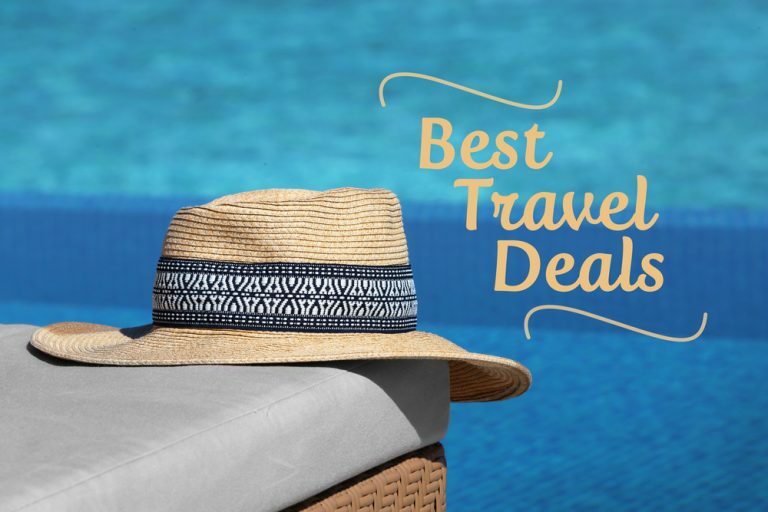 Because of their relationship with airlines, hotels, cruise lines, and car rental agencies, your travel agent can often get you better accommodations, upgrades, and perks you wouldn’t receive if you booked on line. Q: How about finding out what’s going on at my destination? A: The Internet is a great resource. Most tourist attractions maintain Websites with complete schedule and price information, as do sports teams, theaters and arenas, cultural programs, and such. Newspaper sites let you access such local details as movie schedules, restaurant reviews, church services times, and much more. Q: Can I be sure of getting the lowest airfare on the Internet? A: Sometimes yes, sometimes no. Some really good airfare deals are sold only on the Internet. They’re usually limited and highly restricted, but if you can live with those limits and restrictions, prices can be very good. However, if you need to change your ticket or you make a mistake, customer service is not a strong point of the Internet. You can also buy discounted consolidator air tickets from some Internet sites. In many cases these ”deals” are non-refundable. In general, however, the online price is about the same as you’d pay if you buy from a conventional travel agency. And some sites that claim to search for the “lowest” fares don’t include those discount tickets in their searches, which means they won’t really get you the lowest fare. When you book with a travel agent you get the peace of mind and security knowing an experienced travel expert has arranged all the “little” details for you. Q: Can I use the Internet to find the best flight schedule? A: Yes, usually. Many websites permit you to specify schedules and search by minimum travel time rather than minimum time. However, some sites exclude some important low-fare airlines from their searches. Also, sometimes it is difficult to discern the flight itinerary or the number of steps and length of layovers. A travel agent can work with you to make sure your flight plans go smoothly. A: The Internet is helpful but it doesn’t answer all your questions. The main domestic airlines’ websites show their seating charts and dimensions (if you know where to look), but most small US lines and foreign lines don’t provide that information. Also, some websites let you pre-select seats when you reserve, while others don’t. 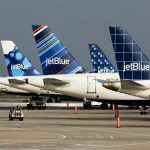 If your ticket permits, you can usually pre-select a seat by calling an airline’s reservation site, and a knowledgeable travel agent can often not only get you a seat but select one with a bit of extra room. Often they can get upgrades for their clients that aren’t available online. Q: Can I cut my costs by buying a package tour online? A: Usually no. You generally pay the same price for a package tour no matter where you buy it. Many wholesale tour operators (the people who put tour packages together) maintain websites, but they don’t cut prices there. You can use the Internet as a source of information, but a travel agent can give you as good a deal – plus, possibly, a few perks or extras. Q: How about special interest tours? A: The Internet is a great locator and source of information. It enables some very small niche-market tour operators to reach a national audience. You’ll find almost any imaginable kind of tour on websites maintained by operators of special-interest tours. But prices are usually no lower online than from other sources. And an operator’s website is hardly likely to let you know if the operator is financially sound – information you can often get from a travel agent. Q: Do the cruise lines discount on the Internet? A:. Generally, no. Even though most of the big cruise lines maintain elaborate websites, they typically don’t cut prices online and many don’t sell online at all. Q: So where are the cruise discounts available? A: Lots of agencies – online and off – provide discount cruise pricing. The Internet is a great way to get an idea of what’s available and the price. But offline sources can usually get the same discounts as you find online and may be able to provide insights on the cruise company and its ships. Cruise specialists can give you firsthand knowledge of the line and help you select cabins, dinner seating and shore excursions. Q: Is the Internet a good place to find hotel deals? A: Again, sometimes yes, but not always. Several hotel discounters have websites. And several chains offer Internet-only specials (although they’re often duplicated by parallel non-Internet promotions). But Internet discount prices aren’t always the best you can find. Chain-sponsored promotions are often better, as are deals offered through just about any agency. Your travel agent can also help you select a quality hotel in a convenient location. You also get the benefit of their firsthand knowledge of the region you are visiting. When visiting large cities or traveling abroad, they can help you to select a reputable establishment in a safe area. Q: What about other accommodations – rentals, B&Bs, and houseboats? A: The Internet is great way to track down unconventional lodgings. You’ll find hundreds of sites that cover vacation rentals, for example, ranging from large worldwide agencies to individual apartments. Ditto B&Bs, houseboats, rental boats, and such. But the main benefit is in finding the place you want: Prices are usually the same no matter where or how you buy. Q: Is the Internet a good source for last-minute bargains? A: Yes, in many cases. 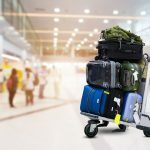 The Internet provides an easy way for suppliers to unload airline seats, cruise cabins, and hotel rooms that might otherwise go unsold, at very attractive prices. The Internet is the only place you’ll see some of the best last-minute deals, but others are available just about everywhere. 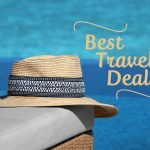 But many of these “bargains” have restrictions-your travel agent can often save you money on last-minute travel plans that suit your needs saving you time and hassles. Q: How about those “auctions” that get so much publicity? A: They’re fine, but only if (1) you’re willing to let the Internet-based agency select the airline or hotel for your and (2) you really know where to set your bid. Apparently, they work better for high-priced hotel rooms than for air tickets. Q: Are there any drawbacks to those deals? A: The obvious ones. You usually find the best prices only a few weeks to a few days in advance – often leaving insufficient time to arrange your schedule. Selection of destinations/cabin classes/flight times/locations may be limited. In many cases, once you buy, you’re stuck, with few if any refund options. Q: Are there any potential pitfalls and traps in using the Internet for travel? 1. Perhaps the most important is that the Internet can respond only to the questions you ask. If you don’t know what to ask, the Internet can’t give a useful answer. 2. A related problem is “Plan B deficit.” Except within very narrow limits, the Internet can’t suggest an alternative if your first inquiry doesn’t turn up a satisfactory answer. 3. The Internet is a fertile field for deceptions and misleading information. Just because a site labels a price as “discount” doesn’t mean it’s really discounted. Ask 10 sites for the “lowest” price for an identical service and you can get as many as 10 different answers. 4. The Internet is also full of misleading promotions. For example, some sites list absurdly low airfares, with the condition that you buy a week’s hotel accommodations through the same site. Obviously, the hotel rate is padded enough to cover the real cost of the airfare. 5. Some sites can’t handle such routinely available deals as senior and AAA discounts. 6. If you run into difficulty, you could have a tough time trying to get an online agency to straighten out your problem – in fact, you may not even know its location. 7. Many discount travel websites don’t check on the hotels or vacation packages they offer. This can lead to a disappointed traveler. Your travel agent has the resources and relationships in the travel industry to select the best accommodations for your trip. If you’re accustomed to making all your own travel arrangements, the Internet can be a powerful tool. It can increase the scope and reach of all your efforts, and allow you to check hundreds of options. But to make the Internet work for you effectively, you have to know what to ask and where to ask it. If you don’t, you can spend endless fruitless hours that ultimately produce unsatisfactory results. Even if you know what you want, Internet research can be time-consuming. You can save money, time, and headachs by turning to your travel agent for your travel needs. But just because you prefer some outside assistance and counsel with your travel arrangements, you needn’t ignore the Internet. It can be a good place to do your homework – along with the more traditional guidebooks and other references. No matter how you buy travel, the more homework you do, the better consumer you’ll be. And the Internet is a great place to start your homework.